I upgraded to Lion recently. 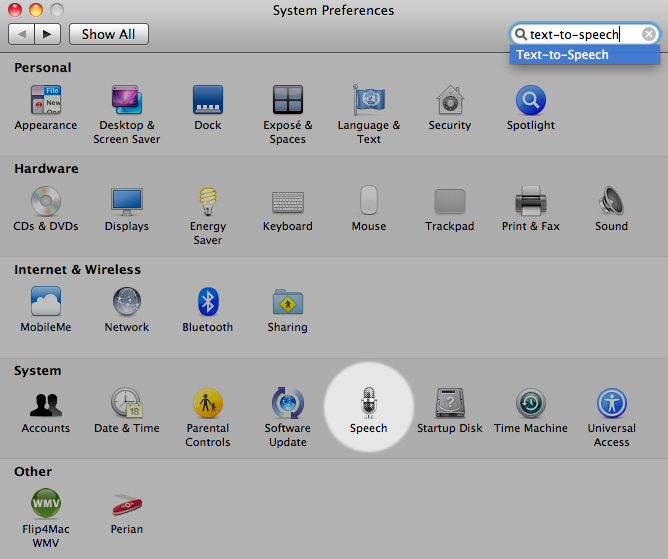 It screwed up a lot of things on my Macbook Pro 2010 15″ i7, so I clean installed Lion. All has been going smoothly until today, when I came home from work and woke my laptop. Fired up Spotify, and there was no sound. Then I realized there were no internal speakers recognized. Oh boy. Nothing worked. So I have an old Core2Duo 2007 mini, still with good ol’ Snow Leopard installed. I grabbed the com.apple.audio.coreaudiod.plist file from it, copied the contents and pasted them into the Lion’s com.apple.audio.coreaudiod file. Saved the file (you must do this from a sudo TextEdit session) and it worked. Probably deleting the file and rebooting would also work but I didn’t try that. 2. Type this “sudo /Applications/TextEdit.app/Contents/MacOS/TextEdit"
5. Copy all of the contents with command-a, and then paste them into a new file. Save that file as a backup. 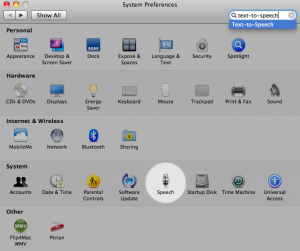 Apple’s OS X allows you to zoom in on your screen in a number of different ways. It also can read text to you, if you are so inclined. There are many ways to do this, depending on which hardware choice you made. If you have a track pad on your Mac, and it supports gestures (all Intel versions do, and some late G4 PowerBooks) you can simply spread two fingers apart on the track pad to have it zoom text. To accomplish this with a mouse, If you’d like to zoom in on the entire screen rather than just make text bigger, hold down the control key (two keys left of the spacebar) and slide two fingers from the track pad’s button toward the screen. A third option is to hold down command (⌘) and hit + to make text bigger. Alternatively, command (⌘) – makes it smaller. 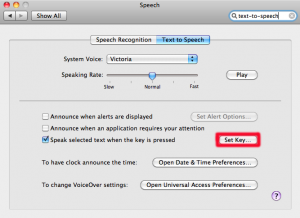 Even better, you can easily set up OS X to read selected text for you, using a keystroke combination that you define. It comes in handy to select some text, and then let the computer read the selected text to you as you continue to browse around a site. Naturally, if you cannot see the text to begin with, or have trouble reading from a screen for any number of reasons, this built in feature is priceless. 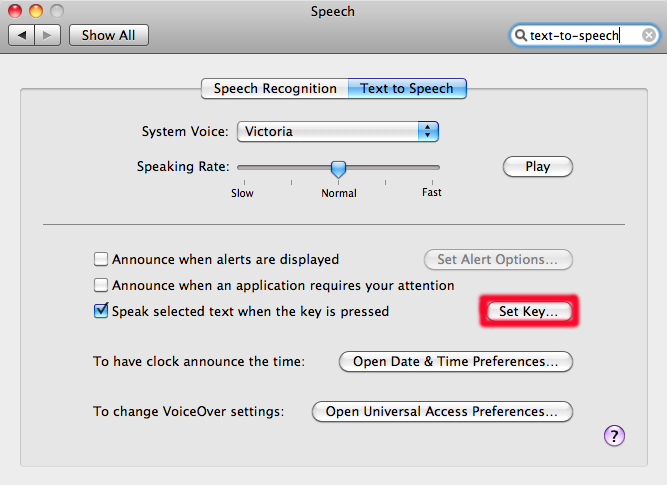 Once there, check the box to “Speak selected text when the key is pressed”, then click on the Set Key button to create a keyboard shortcut to have the computer read text you have selected. This allows you to also deselect the text, while the computer keeps reading it, which is a pretty nice feature. You can then even navigate way from the page or text, and look at something else while you are listening to the text being read.